Seventy-three-year-old Stanley (Tracy) Jenkins enjoys many things, but a few top the list. 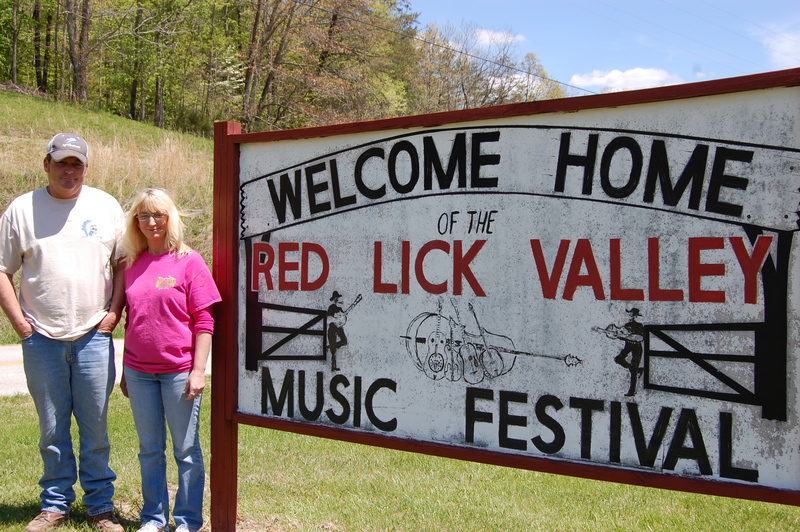 David and his wife Paula with the hand-painted festival sign next to Red Lick Road. Bluegrass music is one. He has spent most of his life traveling on weekends from one bluegrass festival to the next. Ask him how many he’s been to, and he’ll guess 100 but tell you it’s probably more. 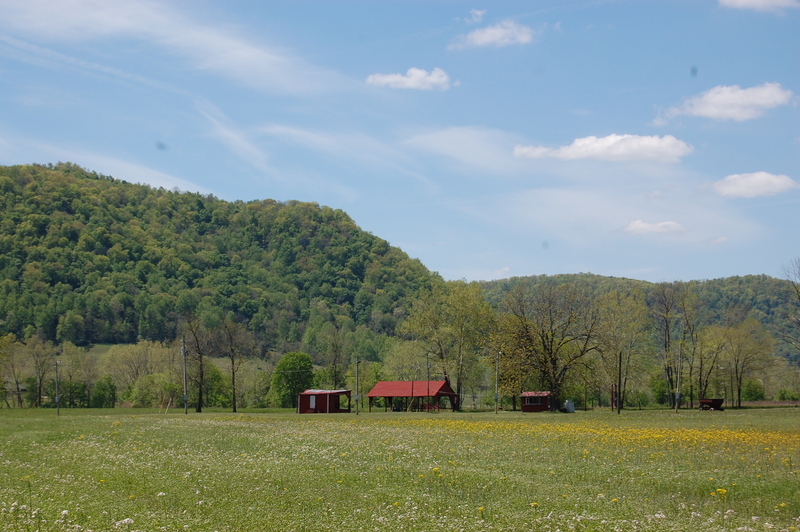 Another one is the beautiful Red Lick Valley, which he calls home. 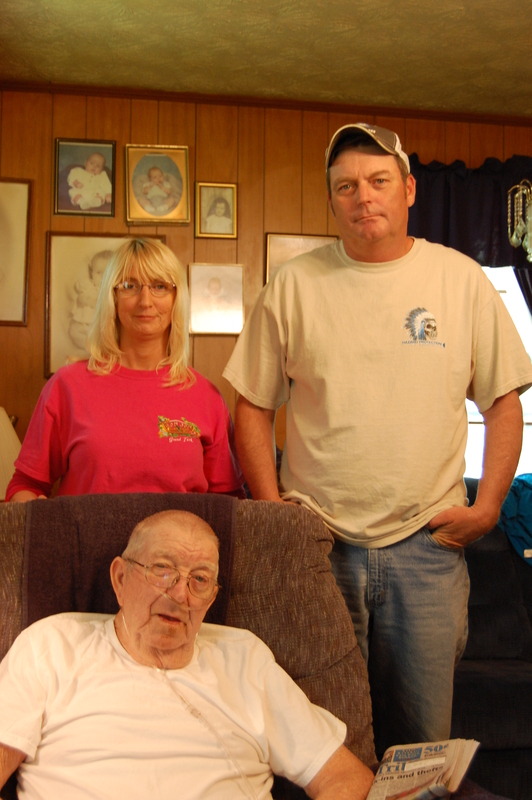 He has lived his entire life on farmland once owned by his father in the Estill County, Kentucky, portion of the valley. And one is definitely his family and its tradition of farming the land in the valley. 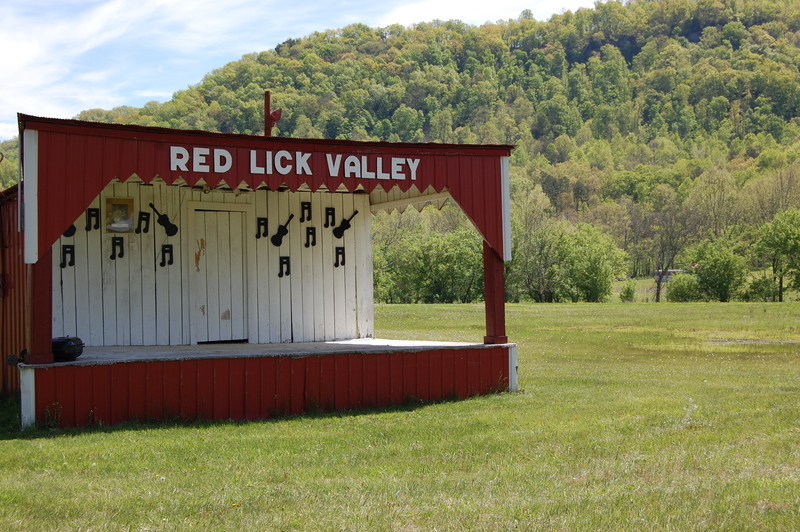 The stage is nestled between the Jenkins’s home, the surrounding knobs, and the Red Lick Creek. 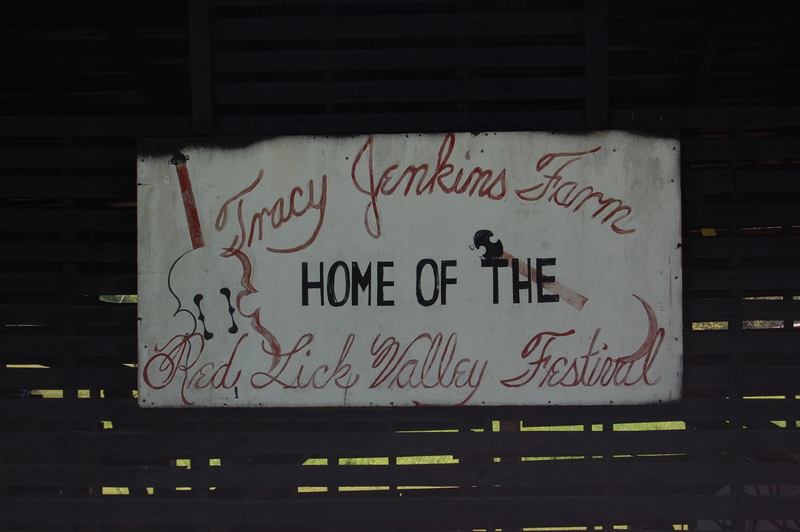 It’s no surprise, then, that he has combined these three joys into a special tradition: The Red Lick Valley Bluegrass Festival, which takes place each year right on the family farm. The 37th festival is this July 23-25, 2015. Mr. Jenkins has been its leader and champion from the beginning. And now, even though he is in the care of Hospice Care Plus, he wants nothing more than for it to go on as planned this summer, and to continue beyond him every year for many summers to come. He hasn’t let much of anything keep him from putting it on each year: not rain, not the bad economy, not the gas prices that made it harder for campers to come from out-of-state, and not even the loss of his beloved wife, Colie. She died one month before the 2014 festival, and still the family managed to keep it going. This year, Mr. Jenkins has a new challenge. He recently chose hospice care after a lengthy hospital stay and a diagnosis of acute respiratory failure. 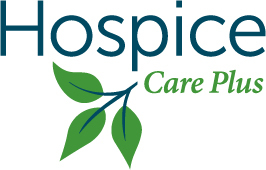 Hospice Care Plus now cares for him in his home, just as they cared for Colie. But he’s still making sure everything is in shape for the July festival. He’s already booked all the talent, and he has every intention of being there himself. “It’s very important to him,” says his son, David. Colie and Tracy Jenkins at a bluegrass festival. 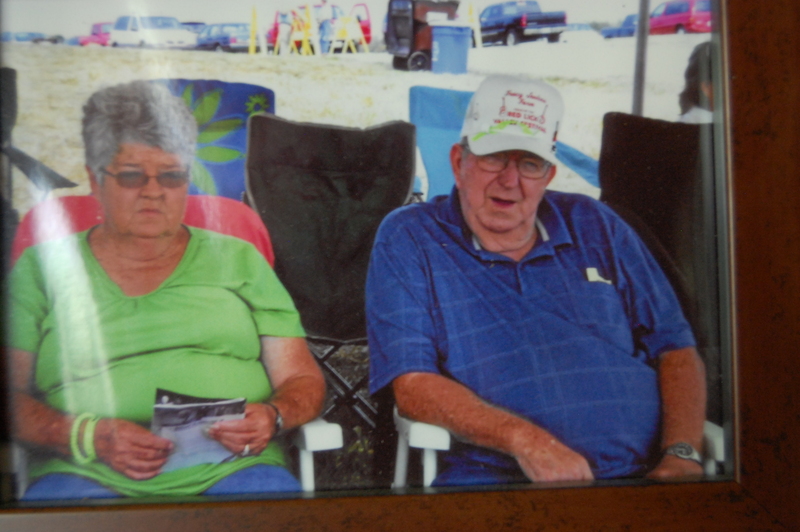 Bluegrass music was a big part of their lives together. wife, is the full-time caregiver for Mr. Jenkins and the cook for this year’s free soup-bean dinner on the first night of the festival. David manages the family’s 400 acres of fields—mostly soybeans—and is, as he puts it, “the head festival grass-cutter, which I inherited from Colie, and parker of campers.” And the hospice team visits throughout the week, checking that Mr. Jenkins’s symptoms are under control and the family has the support it needs. It’s a very busy time, but this family thrives on it. The Tracy Jenkins farm fans out over 400 acres, many of which are used to farm soybeans. 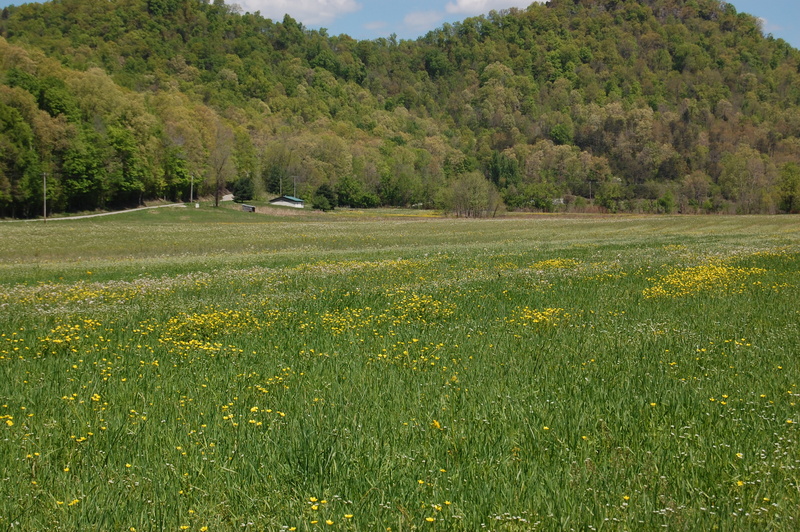 Valley Bluegrass Festival one of the most successful in the region. It draws anywhere from 500 to 700 from all across the country. All 85 of their camper spots are typically filled. The festival’s popularity has led to a waiting list for bands that are ready to perform if someone cancels. The family charges a modest fee for the three-day festival, but they invest profits back into it. That’s how, over the years, they’ve added more electric plug-ins for campers, lights, a stage, concession booth, and more. It all started when Mr. Jenkins’s brother, Raymond, started playing with a bluegrass band when they were young. Mr. Jenkins would drive him to Renfro Valley every Saturday to play. Although Tracy Jenkins is under the care of Hospice Care Plus, he works closely with David and Paula every day to make sure the farm work and festival planning are on schedule. Last year was the first year Mr. Jenkins felt so ill he had to go back to the house during the festival. It was a noticeable absence, says David. This year, Paula and David are putting plans in place to help keep Mr. Jenkins in the thick of things and comfortable. “We’re going to park a camper with air conditioning right next to the action, so he has a cool place to go where he can rest if he needs to and breathe easier,” says David. As for what will happen to the festival when Mr. Jenkins is no longer here to lead it, David has a quick and easy answer. Over the years, the Jenkins family has added a covered picnic area, concession stand, covered stage, and electric plug-ins for campers.